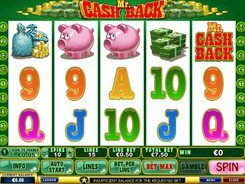 Spin 2 Million is a lucrative and enticing 5-reel 5-line slot by Playtech. The slot’s name is not a catnip for gamblers. The machine does pay out a whopping $2 million per a single spin! The coin size is altered in the range of $0.05 to $5, making the highest bet of $250. You can wager up to 10 coins per line. 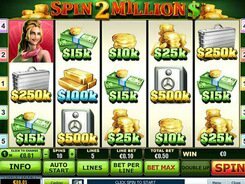 Spin 2 Million incorporates the symbols of a lady, special agent, thief and icons that refer to wealth. 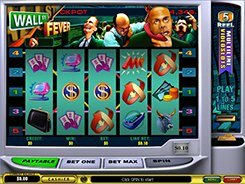 The slot has no wild symbols and free spins. 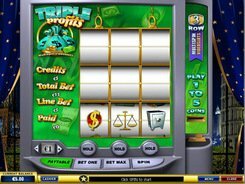 But the special agent, lady and thief all act as scatters launching the Bonus round once appeared on three consecutive reels. Here you will have to select one of three safes the thief is going to crack. 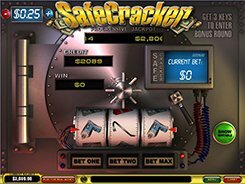 A tremendous jackpot of x20,000 your line stake is awarded if five $2 million symbols occur on an active payline. After each winning spin, you have an option to start the Gamble feature. Guess whether a card is black or red. If you guess it correctly, you are awarded double your wager. Otherwise, you lose your winnings. PLAY FOR REAL MONEY!